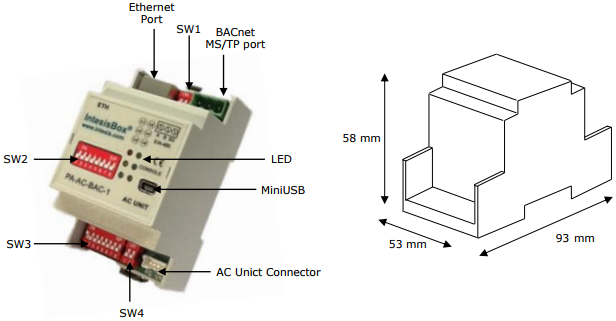 IntesisBox PA-AC-BAC-1 interface allows a complete and natural integration of Panasonic air conditioners into either BACnet IP or MS/TP networks. Compatible with Domestic (RAC) line models commercialized by Panasonic. 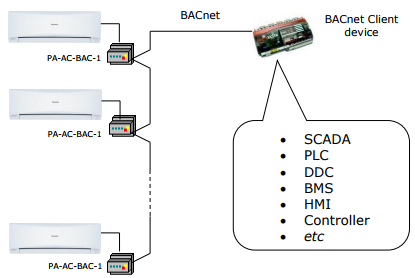 PA-AC-BAC-1 interface allows a complete and natural integration of Panasonic air conditioners into either BACnet IP or MS/TP networks. 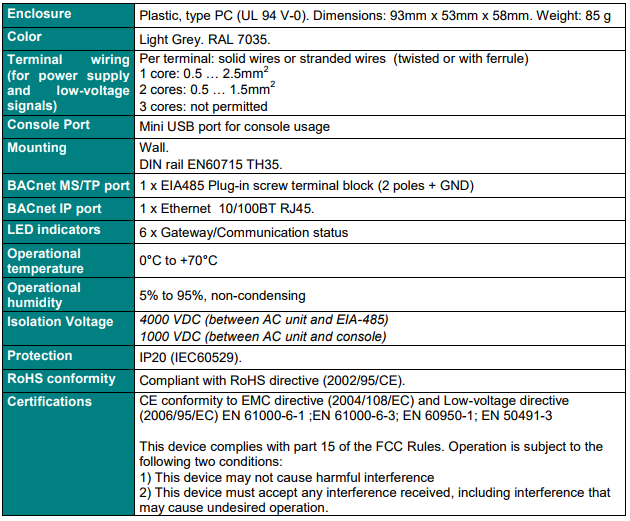 Compatible with Domestic (RAC) line models commercialized by Panasonic.